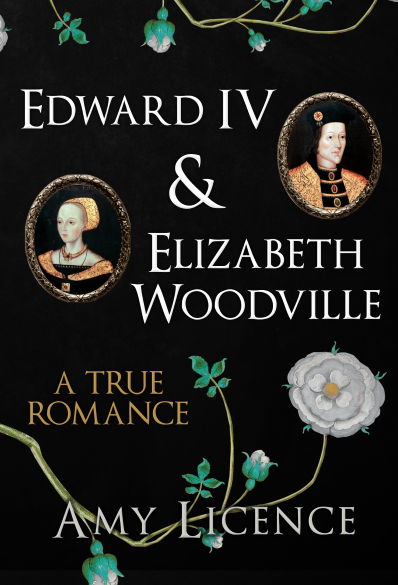 Elizabeth Woodville & Edward IV – A true romance by Amy Licence. As Amy Licence points out in the beginning of the book, Edward IV is not the king in English history that has gained the most attention, unless you have had a particular interest in the Wars of the Roses, that has come to fall on more notorious monarchs such as his younger brother Richard who would become Richard III and his own grandchild Henry VIII for example. But Edward´s reign has many interesting stories to tell, and one of those is his marriage to Elizabeth Woodville. The reason for this is that Edward did something which – in latter half of the 15th century – was considered outrageous, at least for the upper classes of society and most certainly for a monarch: he married for love.